This is gently sheared wool from BFL, Border Leicester, Cheviot and Teeswater sheep! 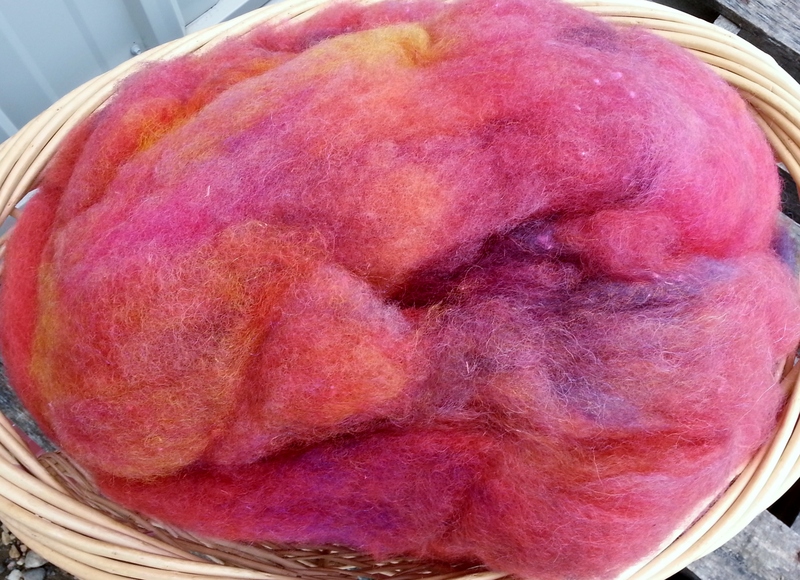 After shearing, each wool fleece is washed, dyed & then hand blended with firestar and sari silk. 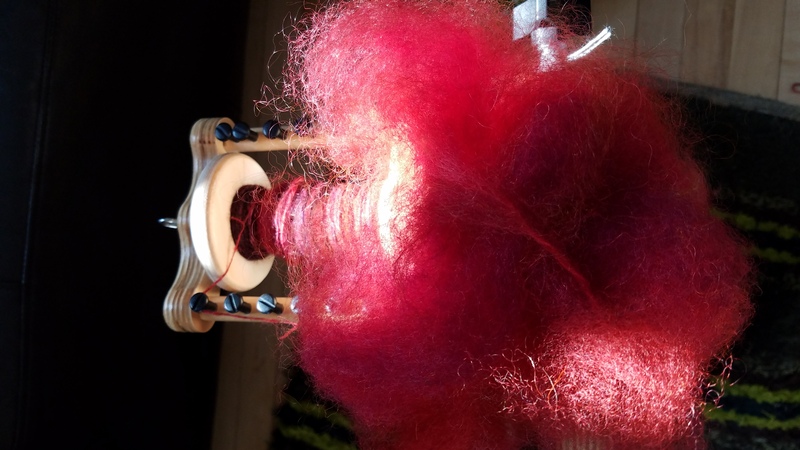 The final step is carding the blend into a cloud for hand spinning. The wool we raise here at Dakota Carding & Wool is long, healthy and hand sheared from our pasture raised animals. 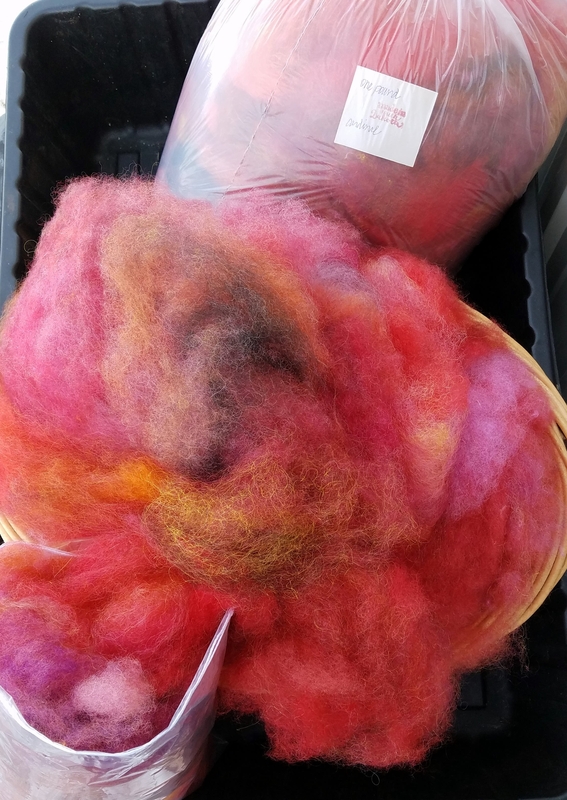 We then gently wash, dye and card the fibers to produce a quality spinning wool. The staple length of this 2018 shearing of BFL fleece averages about 4 inches long with luster, fine strength and drape. The base colors of 'Cardinal' colorway consist of multi-red tones with flashes of bright color contrast and mysterious darks as accents. Pure and simple washing, dyeing and carding of the fibers gives you an easy to draft, open preparation great for spinning a woolen or semi-worsted style yarn. Spinners familiar with commercial combed top, which can be dense and require significant predrafting, will likely find this carded preparation easier to spin. This four ounce blend will spin into +200 yds. 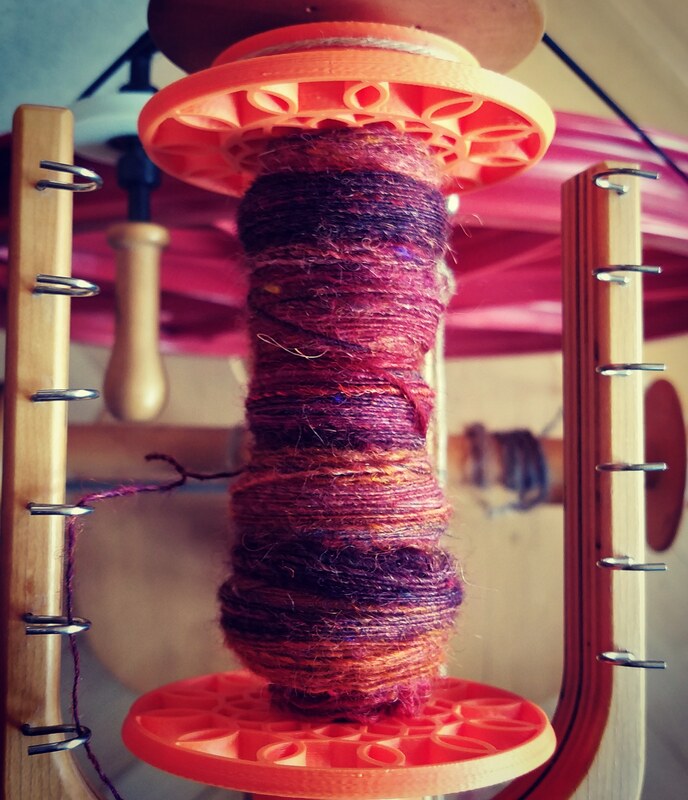 of a 2 ply worsted weight yarn, although a 2 ply lace weight 600 + yard skein is possible.